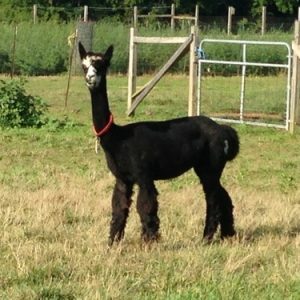 ***This alpaca originally priced at $3,500 will be priced at $1750 or 3 for 20% off for a limited time. The reason is health related. We will be off our feet due to surgery for a period of time and need to lighten our load. Our issue is your gain. 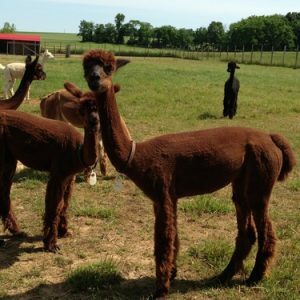 Now is the time to purchase a high quality, attentive, cooperative, and easy to work with with alpaca. 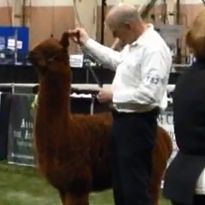 Our alpacas receive daily hands on attention. This is your chance to take home a quality female with the bloodline to move your breeding program up a noche. Keckley has a beautiful shine to her soft coat. 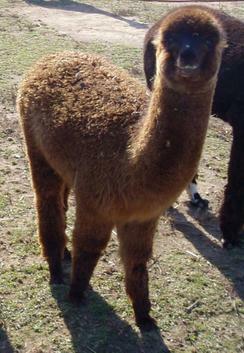 Her color is mostly light brown with a small hint of black on her ears and legs. Her belly is off white in color as is the inside of her legs. She has personality and a mind of her own. She is gentle and touchable. Keckley has given birth a couple of very crimpy fibered offsprings. She is easy to rebreed. 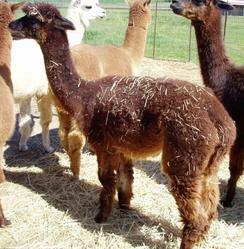 She produces healthy crias easily and with plenty of milk. 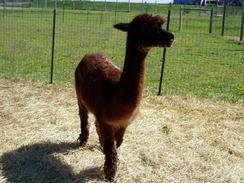 Keckley will be sold as a bred female. 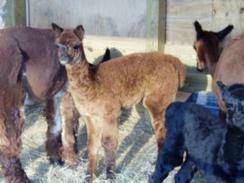 (That’s 2 alpacas) then she comes with a rebreeding for next year (that makes 3 alpacas) Thus making the deal 3 alpacas for 1 price. This is a very outstanding deal. 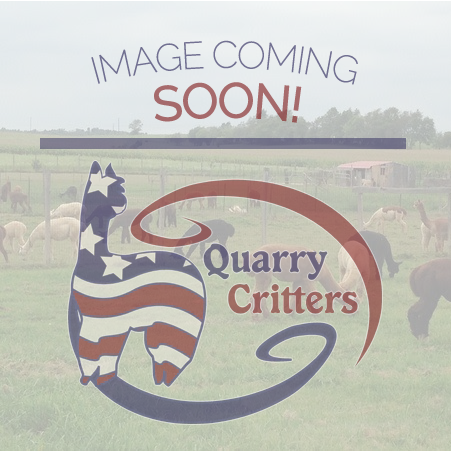 Schedule your ranch visit and take a look at Keckley.